Eddie Redmayne was joined by Hannah Bagshawe at the premiere of The Theory of Everything. Eddie Redmayne and his fiancée Hannah Bagshawe are as about as cute as a couple can get. They stepped out together for the UK premiere of The Theory of Everything in London last night and made our hearts melt. 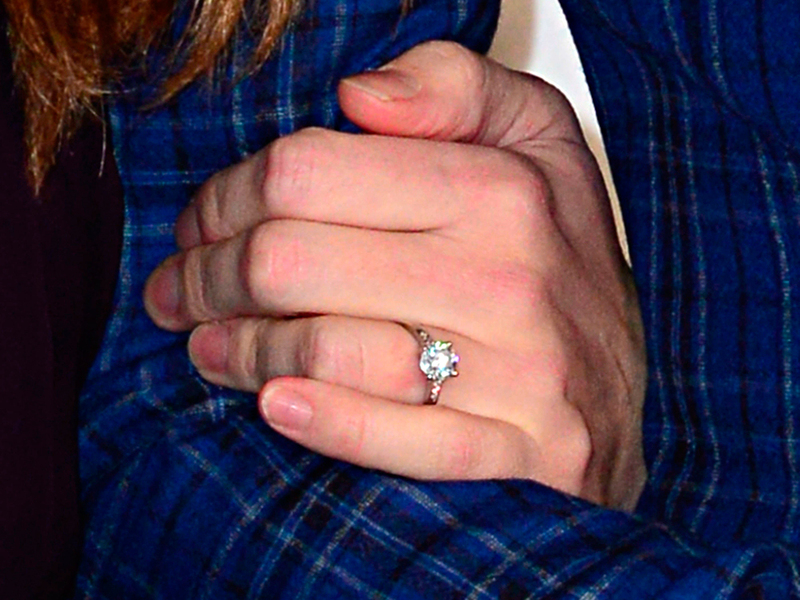 Last night, at the rain-soaked premiere of The Theory of Everything (bloody weather bomb), Hannah gave us all a flash of the classic diamond engagement ring. So lovely. It wasn’t just Hannah keeping Eddie company for his big moment, the actor was also joined by his co-star Felicity Jones, who looked breathtaking in a quilted, lampshade Dior dress. The actress teamed her haute couture with a pair of metallic stilettos and a slicked back ‘do. All in all, a look that’s got us very excited about her red carpet looks come awards season next year. The Theory of Everything is based on the memoirs of Professor Stephen Hawking’s ex-wife, Jane Hawking, and both she and the professor were at the London premiere to show their support. It looks like Eddie is in line for an Oscar nomination for his turn as Stephen Hawking. We’ve been lucky enough to see the movie already and it really is brilliant. But do take tissues. Hundreds of them.